My sculptures integrate found and precious objects, encapsulating the fragile life of memory while reflecting on the plural acts of womanhood. 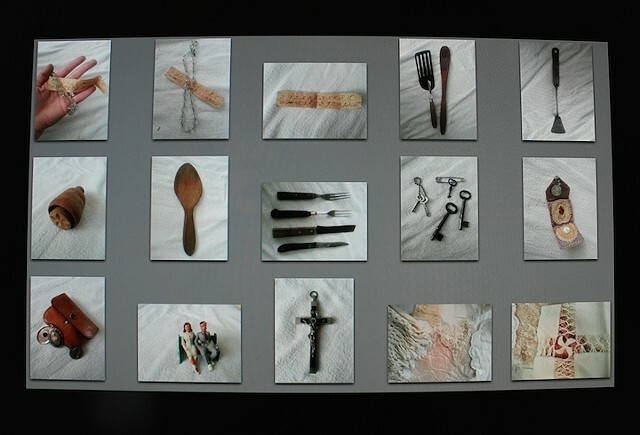 From child to mother- daily routine to traditional heritage- transitional objects reference the process of heirloom building and integrate the Christian tradition of relics with my own personal narratives. As the work develops, I am creating a framework for how I define myself as woman -ever changing- amongst the complicated roles, dualities, expectations and stereotypical perception of the feminine.